OLF Elementary honors the Virgin Mary as “the Queen of May” with a May Crowning. 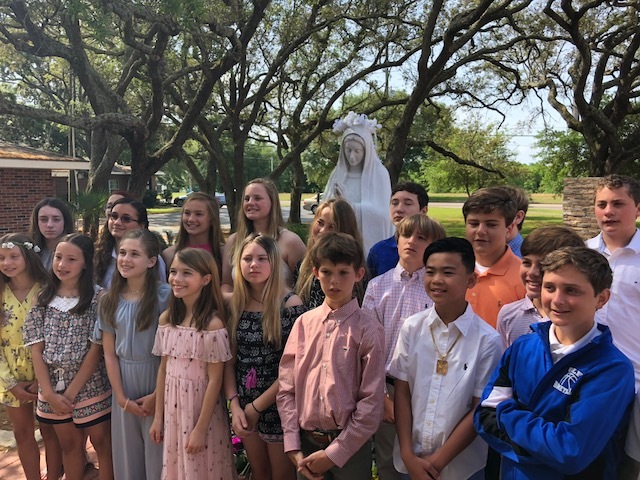 The May Crowning was held outside the chapel at Our Lady of Fatima parish. The students, faculty, family members, and guests gathered to honor Mary by singing special songs devoted to her and listened as the 6th grade students read from scripture.